Kate Middleton and Prince William present Princess Charlotte to the world in adorable christening photos, taken by Princess Diana's fave photographer, Mario Testino. 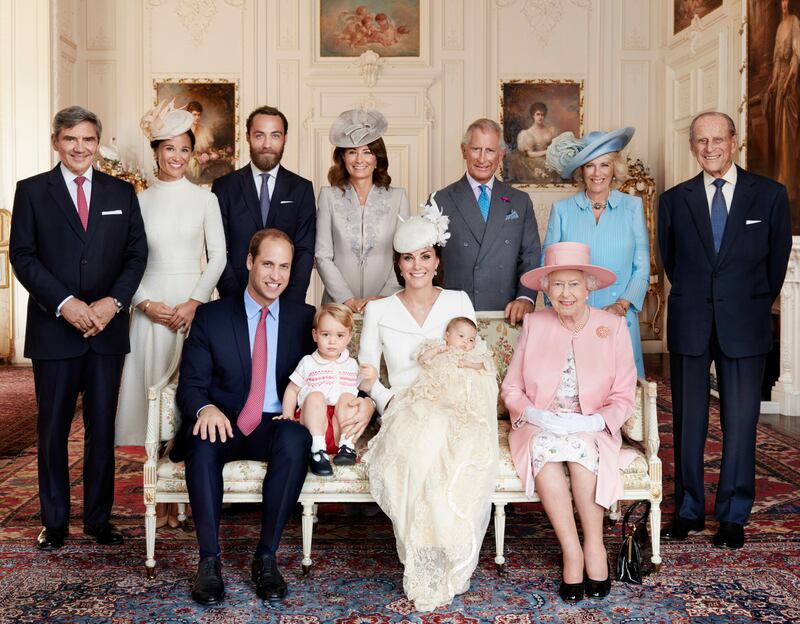 Kensington Palace has released the official photos from Princess Charlotte's christening on July 5—and they are as gorgeous as you'd imagine. The four photos include a formal family portrait, where even the Queen herself is beaming, and three more relaxed snaps featuring mama Kate Middleton, Prince William, Prince George and the newest member of the family, Princess Charlotte, on the grounds of the royal Sandringham estate in Norfolk. The photographs were taken by Princess Diana's favorite photographer, Mario Testino, who also took the official engagement photos for William and Kate. In the three casual shots, the proud parents are smiling ear-to-ear as they present their new little one to the world. 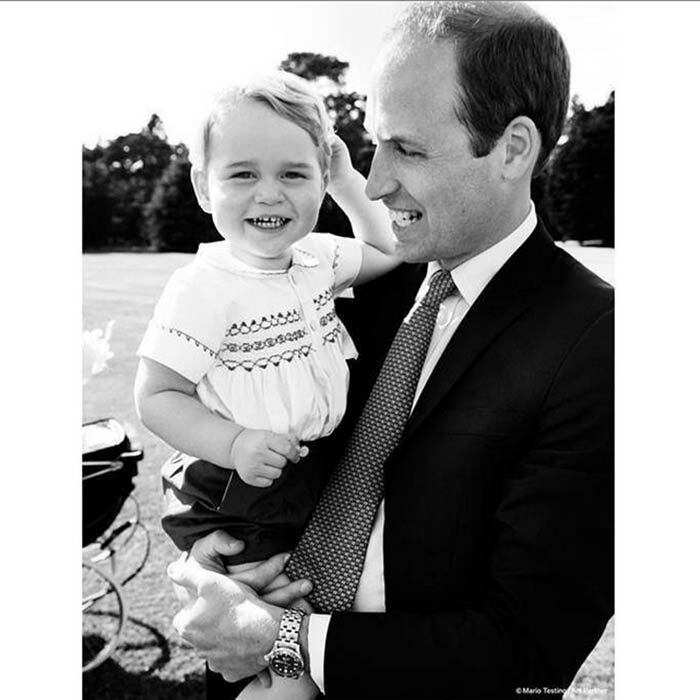 Prince George looks slightly baffled by it all at first, but is soon mimicking his father's grin in an adorably intimate black and white pic, shared by Kensington Palace on Instagram. In the formal photo, Kate Middleton sits on a couch with Princess Charlotte on her lap, her husband and almost 2-year-old Prince George on her right and grandmother-in-law Queen Elizabeth on her left. Behind the group are members of the Middleton family and Prince William's family, including Prince Charles, Duchess Camilla and Prince Phillip. Princess Charlotte was christened at St. Mary Magdalene, where Princess Diana was baptized. "The Duke and Duchess of Cambridge and their whole family had a wonderful day on Sunday and were delighted to share the special occasion with the thousands of people who came to Sandringham," Kensington Palace said in a press release. "They are very happy to share these photographs and hope that everyone enjoys them as much as they do."